When I was little, my favorite part of Easter Sunday was the children’s story, when we all got a little bun that we could use to tell the story of Easter. 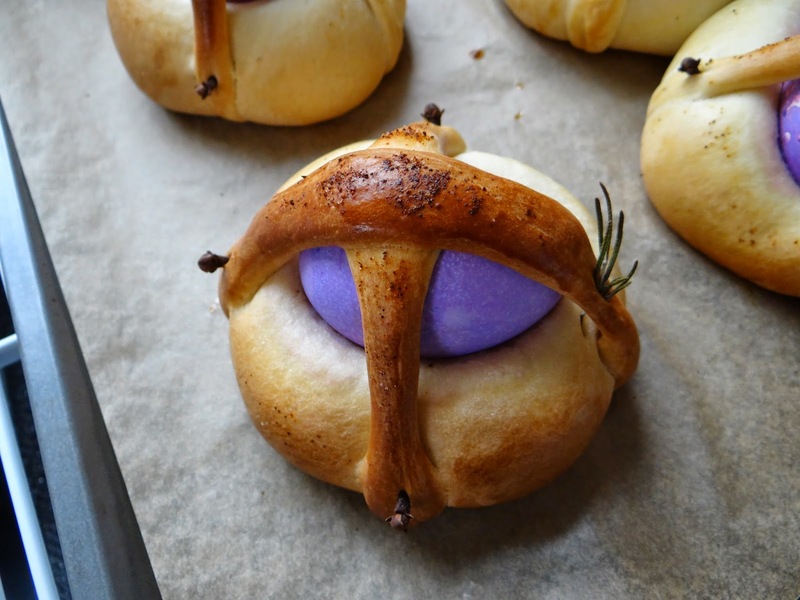 It was the most delicious bread I had ever tasted: sweet, rich, and beautiful with the deep color of the dyed egg contrasting with the light color of the bread dough. It was a sad year when my parents said I was too old to go up for the Easter children’s story (I think I was 13 at the time, so definitely way too old). Also if I recall correctly I was wearing a mini skirt to church, so yeah. I think by that point I was already opting out of church, but once Easter rolled around, I WAS going to get one of those breads, faith or no faith. Since then, it’s been a long, slow process getting back to church. What has helped this time around is that it’s been on my terms. Don’t ever, ever, EVER ask me to lead a prayer circle or a bible study, but bake bread for communion? That I can do. I’m still figuring out how I feel about the whole Jesus thing. But serving others? That is where I feel happy and capable and spiritual. Anyway, this year there was a call put out for anyone who wanted to help make Easter Bread, and I jumped at the opportunity. At the request of the recipe’s creator, I will not be posting about the recipe or the process. I recently read an article on Jezebel called something like, “This is why we’re the atheist generation.” The point basically was that people my age are tired of the hypocrisy of organized religion, but are still looking for the elements of worship, specifically things that are meaningful. While on the surface, making bread for my church could be seen as a chore, to me it’s not at all. It’s symbolically feeding my community. 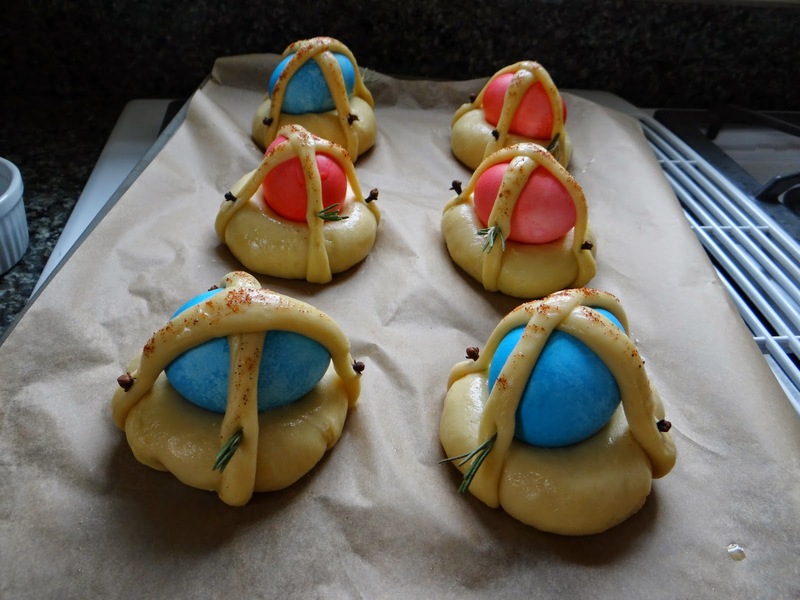 Making the Easter breads is my way of connecting my childhood to the next generation of kids, of providing memories of being loved and cared for. Also, it’s something that only the kids get, so they feel special. Anyway, so the neat thing about these breads is that each element is symbolic. The cloves, the rosemary, the cayenne pepper, the egg. The recipe creator has added to and perfected this recipe over time, and it shows. 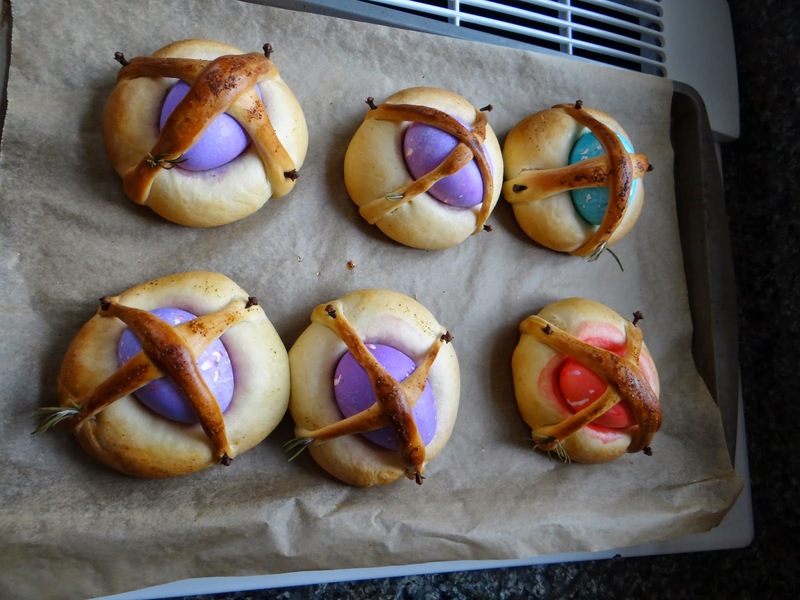 I hope I can help make these Easter Breads again. The experience of making them was deeply meaningful to me. 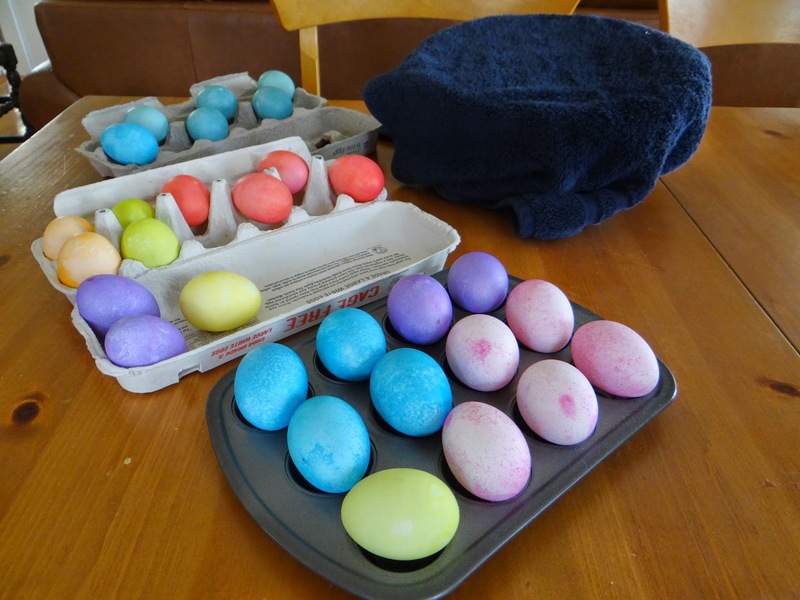 Happy Easter (and Passover) everyone. Bread Maiden, thank you for what you have posted. 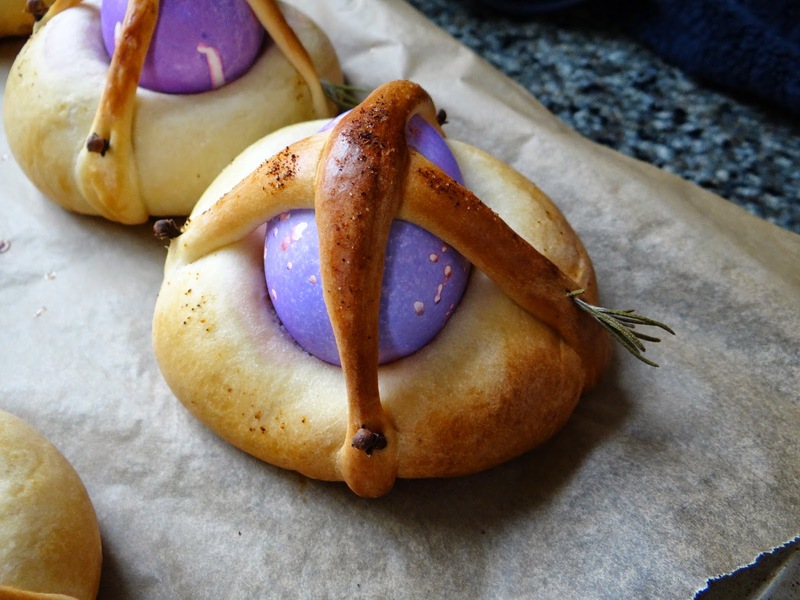 It means so very much to me that a child, now grown, wants to not only remember Easter Breads, but wants to know how to bake them, and maybe learn the story. I will become old and feeble, so others should learn, and maybe add to the symbolism, as I have. I am hoping to get this to a publisher for next Easter, thank you for honoring my request not to publish the recipe or story before me. If any of your Readers are near, they are invited to Commonwaelth Baptist Church in Alexandria, VA, for Sourdough Waffles at 10:00, church at 11:00, and the story of the Easter Bread. Brava, Bread Maiden! The breads are beautiful! It is so “right” to pay it forward: to create for others the memories that made such an impression on you! I even see it with my daughter baking with her daughter: We are passing on the things that we love to the ones that we love.